Identification: Upperside is bright orange-brown. 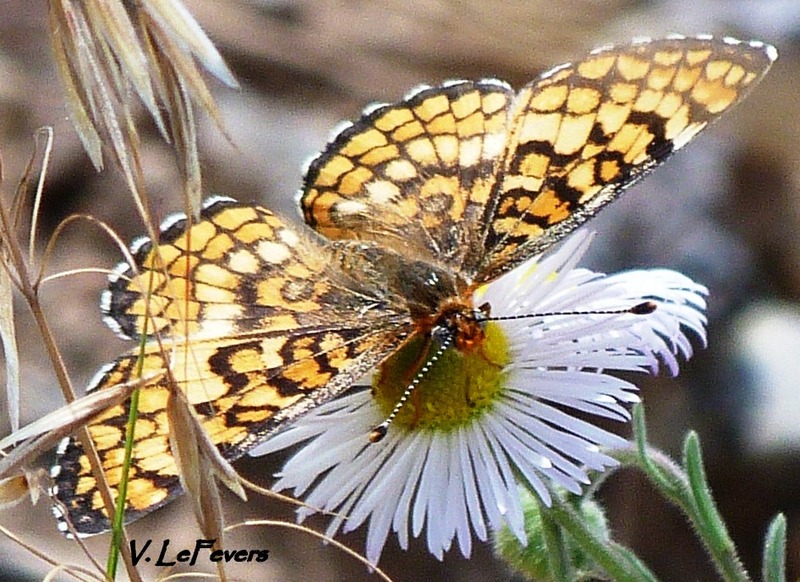 Underside is orange; hindwing outer margin has two rows of white spots divided by a thin black line. Life History: Males perch on low plants in ridgetop openings during the morning hours; in the afternoons they patrol around flowers. 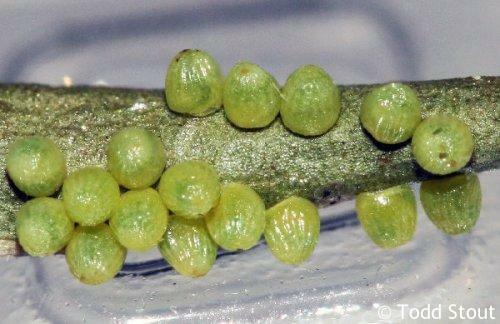 Females lay eggs in batches on the underside of host plant leaves. 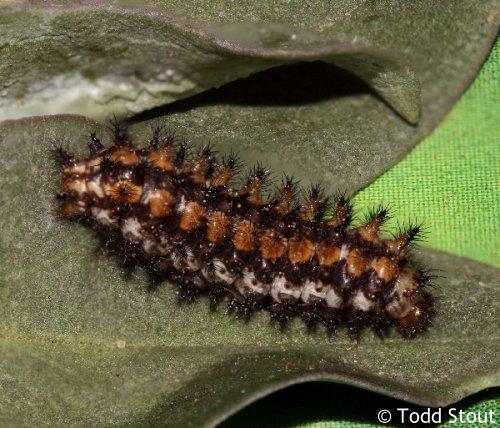 Caterpillars eat leaves and feed together in groups when they are young. Hibernation is by the third-stage caterpillars. Flight: Several broods from May-September. 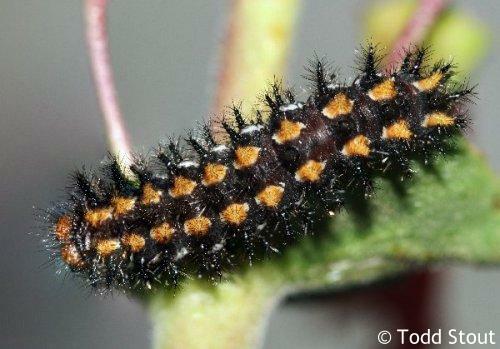 Caterpillar Hosts: Various species of beardstongue (Penstemon) in the figwort family (Scrophulariaceae). 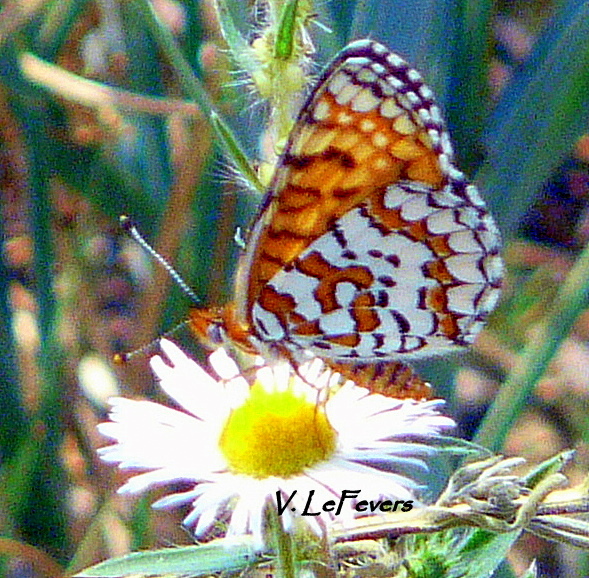 Habitat: Desert grasslands, open mountain meadows and fields. Range: Western Nebraska; southeast Wyoming; eastern Nevada south through the Rocky Mountains to Arizona, New Mexico, west Texas, and southern Mexico. Isolated population in the southern Sierra Nevada of California.